Solace New York provides the most comprehensive training offerings in the city. General preparedness programs lead by passionate Level 1&2 CrossFit Trainers, specialized gymnastics classes taught by former Olympians, and Body and Yoga classes facilitated by certified instructors are a few of the many classes on the daily schedule. 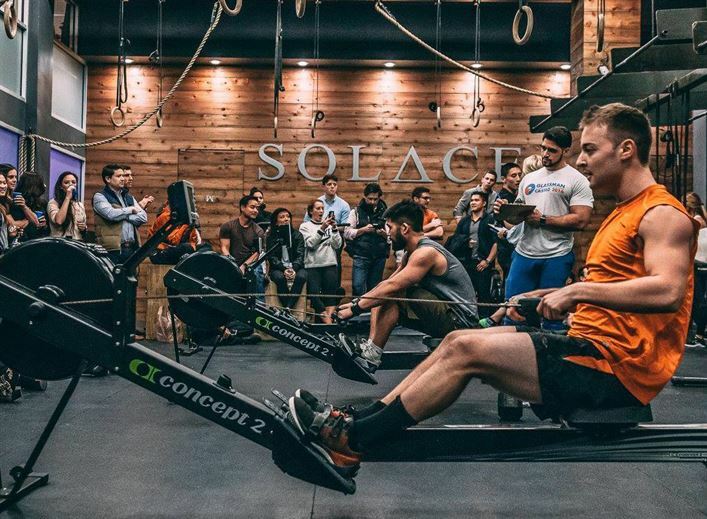 Solace’s well-rounded approach can help any athlete meet their goals and will never fade into the background of the New York fitness scene. The Solace Foundations program is a personalized introduction to your new fitness team and tools. Together we will discuss your health objectives and design a tailored yet realistic path to achieving those goals by leveraging the Coaching, programs and offerings available. After five one-on-one sessions with a Senior Coach you will be confident in your understanding of all Solace has to offer and ready to jump head-first into life changing results. This program is designed to ensure that your transition into membership is both enjoyable and seamless. Please email Front Desk and reference “Health & Wellness: Solace New York”. The code can be used once per person, Solace will require verification of Gympass employment upon first sign in.